Nestled in the Youghiogheny River valley, Youghiogheny Yarns is the creation of husband and wife team, Todd & Keri. Both were raised in southwestern Pennsylvania and have strong family ties here. Keri is an avid knitter and crocheter who has dabbled with various types of hand dying over the years. She comes from a long line of hand crafters. 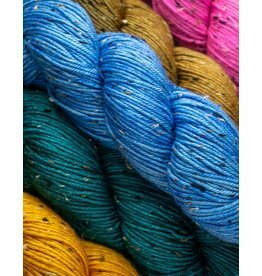 Her love of handmade items and inspiring colorways is what prompted them to start Youghiogheny Yarns. Color is everywhere in the Youghiogheny Valley no matter the season, and Youghiogheny Yarns wants to help you bring some of that color into your life and projects. From our tight knit family to yours...happy crafting! 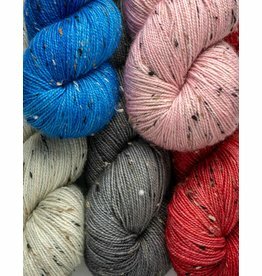 Gorgeous tweed yarn with a fiber content of 85% superwash merino wool and 15% NEP nylon nubs.